Being for many tourists the perfect setting for a memorable photo or video, Times Square has also become the place where others attend to break the law. The most recent case was perpetrated by two Hispanic men between 20 and 24 years of age, who, to avoid being stopped by a police officer after having caused a smoke with the tires of their cars, rammed and dragged the officer leaving him with minor injuries and later successfully fleed the scene. As if it had been a scene from the popular saga "Fast and the Furious" Arfhy Santos, the 20-year-old alleged driver, and William Lopez, 24, allegedly sitting in the passenger seat and owner of the vehicle, struck police Officer Ian Wallace, 26, with a black 2012 Mercedes-Benz C-63. Despite his injuries, the police as a last attempt to capture them, decided to run after the alleged criminals, who were escaping at full speed and hit other vehicles, to finally disappear. 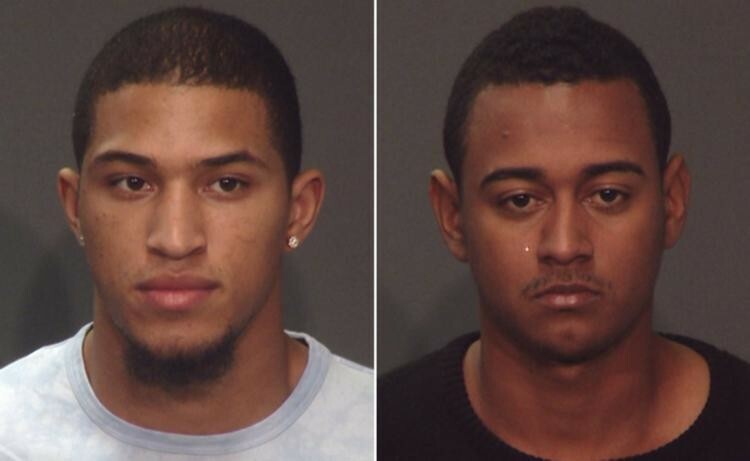 According to the New York Police Department (NYPD), both men are from the Bronx, members of a car club and have criminal records. "Based on past actions of these two people, they don't just give up, they don't just surrender, they try to escape and they use a vehicle as a weapon to do so," Chief of Manhattan Detectives William Aubry said in a press briefing. "That's in their history that we looked at. They use whatever means they can to flee that scene." "These are men that drive these cars, and, as you've seen on the video, they don't just stop for a police officer," he added. Days after the hit-and-run NYPD found the car. “We knew exactly what it was. It had body damage to it. We have a search warrant to process the car. Another male dropped it off, not these two males on that street, so we have to go back on video and see if we can ID him as well,” NYPD Chief of Detectives Robert Boyce said in a press conference. Santos has an open drug case from an October arrest in the Bronx, and was held on $100,000 bail at his arraignment in Manhattan Criminal Court.